To achieve maximum performance over ultra-distance, we need a bike setup that delivers comfort to match aspirations. Thankfully, with a few tweaks, you will be ready to ride harder, stronger and for longer. The width and shape of your handlebars significantly impact comfort. The bars that come with your bike are often relative to frame size: larger frame size equals wider bars; smaller frame equals narrower. But we’re all made differently so if, for example, you’re short but proportionally long-limbed, you might want to upgrade to 42mm bars instead of the 40mm version your bike came with. 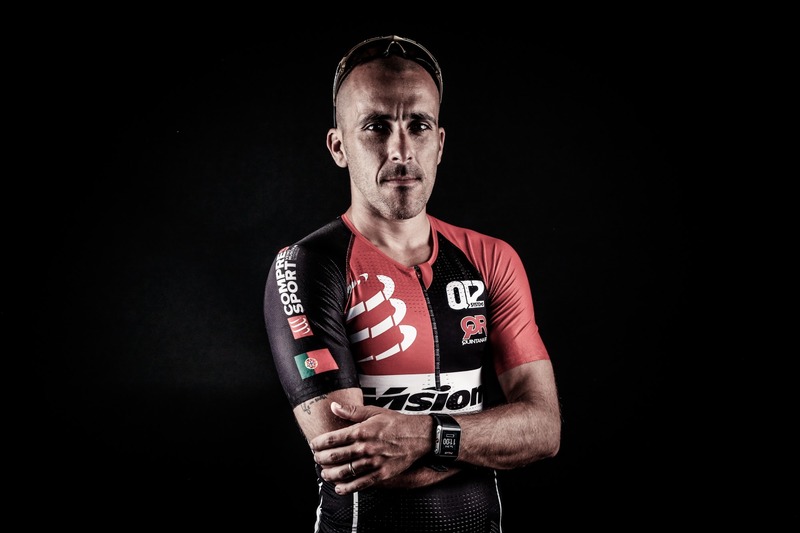 Also, many bike fitters will switch in wider bars if confronted with shoulder tension, neck pain or hand fatigue. In addition to size, shape also dictates comfort – distance and reach of drop can vary markedly. In fact, it’s worth considering angles, radius and dimension, but, but essentially, if you feel the drop or reach is too far, switch to a compact like Vision’s Trimax Carbon 4D handlebar. Aerobars are a great addition for ultra distances. Not only does riding aero enable you to get the most from your power by minimising wind drag, but the bars provide additional riding positions and take pressure away from hands. Compact yet high performance, Vision Mini TT clip-on bars are a neat package and adjustable for a fine-tuned riding position, while the moulded rest pads provide tailored comfort. Stems, the oft-neglected but essential component that links frame and bars, come in different sizes and lengths to create a world of opportunity to significantly change ride position. Take Vision’s Trimax stem; it comes in six lengths, from 80mm to 130mm, so if you feel your bars are too far away or too close, and you’ve already altered the fore-and-aft of your saddle, you could go for a shorter or longer stem. You can also add spacers beneath your stem for more upright comfort. And as most stems are angled – 6° in the case of Vision’s Trimax – you can flip it to ensure that it’s rising up, again for greater comfort. You can’t ignore the interaction between wheels and road when it comes to comfort, and that’s where wider tires come in. 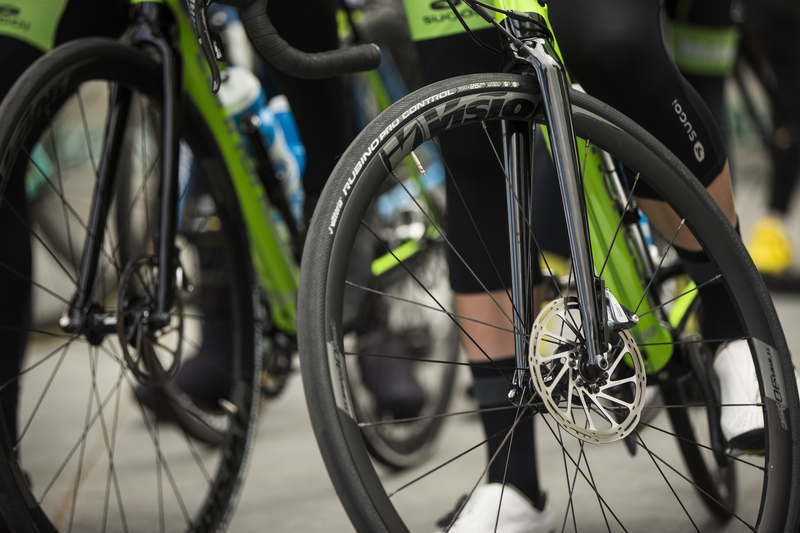 There’s a good chance that your bike’s fitted with 23mm tires, so a simple change to the pro’s choice – 25mm – will increase comfort without sacrificing rolling speed. Contrary to belief, wider is not slower – rolling resistance is the energy lost from wheel movement; and numerous other factors determine rolling resistance including profile, air pressure, quality of material and the thickness of tire casing and tread. It’s been shown that both 23mm and 25mm have the same contact area. It’s just that a wide tire’s flattened over its width, while a narrow one has a slimmer but longer contact area. Riding long distances demands a huge amount from muscles, cycling kit and, of course, fuelling. That’s where turning your bike into a mobile catering unit comes in. The majority of road bikes come with bosses on the downtube and seat-tube to attach a pair of bottle cages for up to 1.5L of fluid if using 750ml bottles. On a hot ride, both could be consumed within an hour or so, and even on cooler days, it’s advised to drink up to 500ml an hour. Thankfully, an addition like Vision’s Trimax rear hydration system //product LINK// doubles your options. Simply clip the system to your saddle rails and voila – two more bottle cages. Five-position adjustability ensures you can tilt the cages to suit your needs. Where you perch your buttocks will naturally play a huge role in comfort. There’s myriad saddles on the market but don’t fall into the trap of thinking softer is more comfortable. Your pelvis width, for example, might dictate that a narrower saddle’s more suitable for you. Or you might prefer a saddle featuring a cutaway center, designed to relieve pressure and eliminate numbness. Shop around to find the best one for you – and don’t forget your all-important saddle bag. 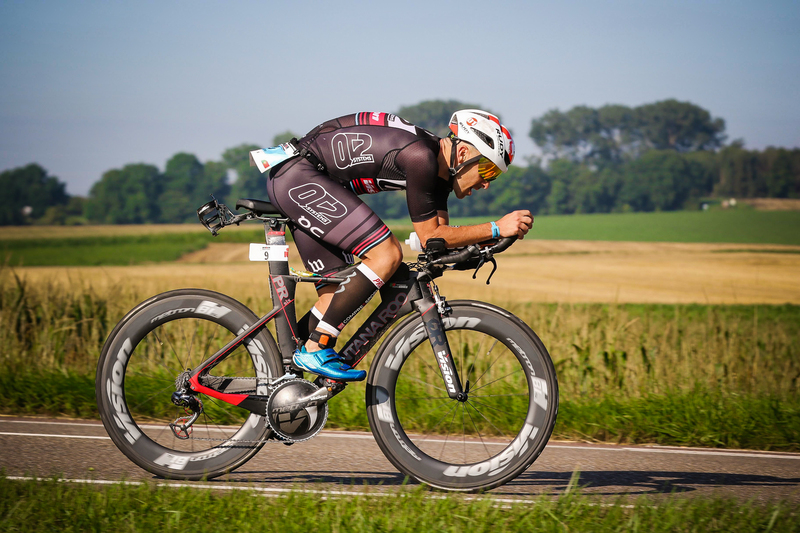 With your bike ready to go long, you just need to prepare your mind which, as many long distance athletes will attest, alongside a comfortable set-up, is important for success.